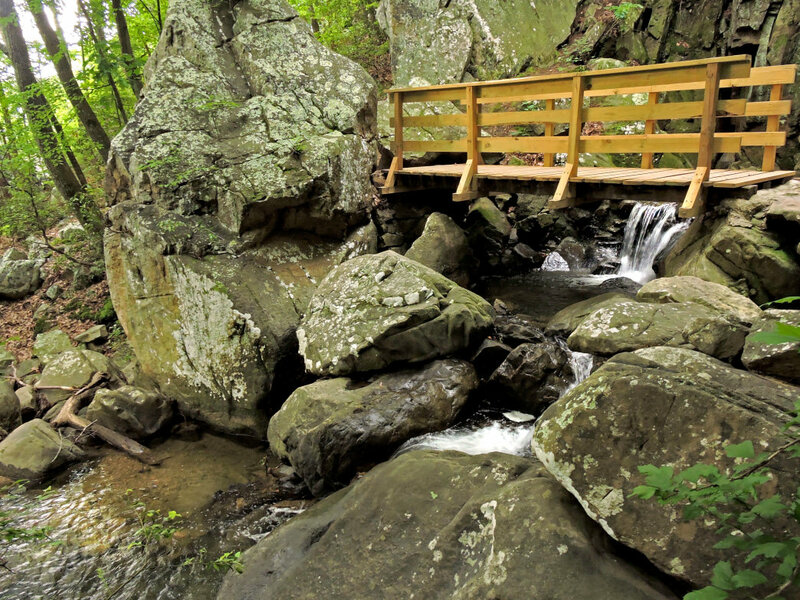 The Glen Falls trail mixes beautiful natural and man-made features: impressive bluffs, boulders, and of course a waterfall. It's a great place to spend an hour on Lookout Mountain. The falls are a quick hike from the parking area on Ochs Highway - an easy half mile. You'll start down a gradual hill that has good footing, passing a trail that branches off to the left. 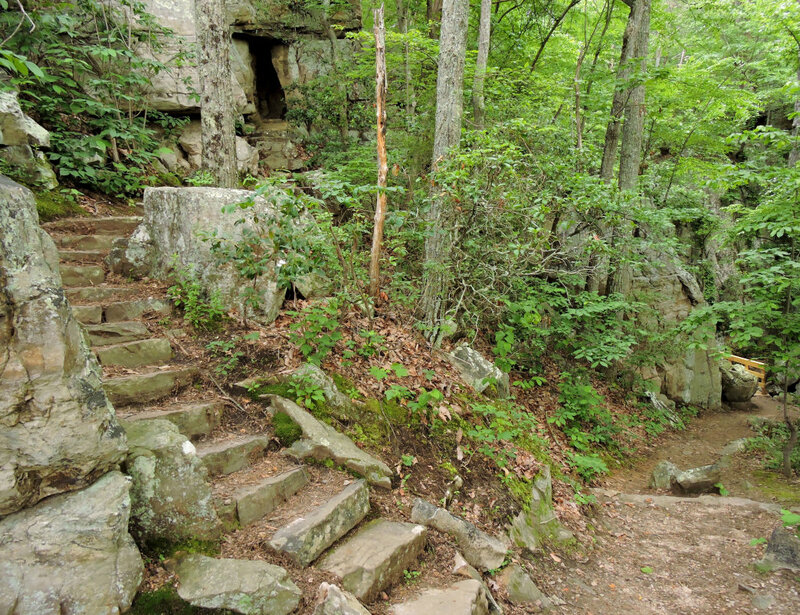 Continue on the main trail; it will cross a narrow (sometimes dry) creek and then begin a gradual ascent to the falls. If there has been rain, you'll hear the falling water. The falls can be magnificent after a good rain; in dry season the water is almost hidden in an secret alcove. 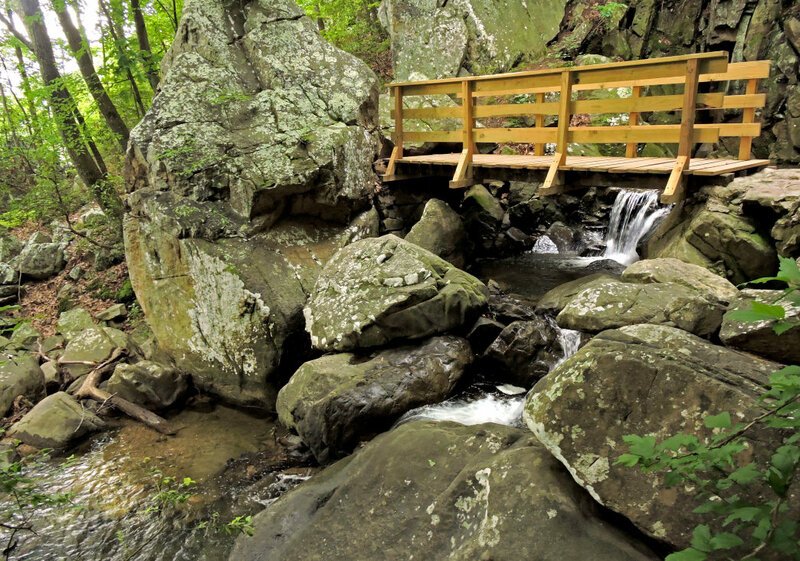 Cross the wooden bridge and hike up the stone steps, through the small tunnel in the rock, and explore the creek above the falls. 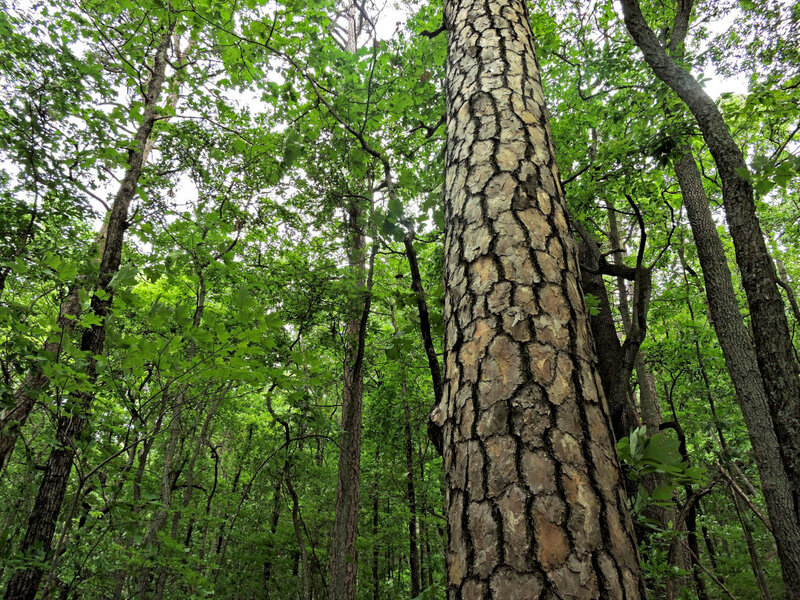 After you've thrown sticks or rocks and explored the upper pools, you can retrace your steps and drive down to Sanders Road, where there is a picnic area with bathrooms and a drinking fountain. 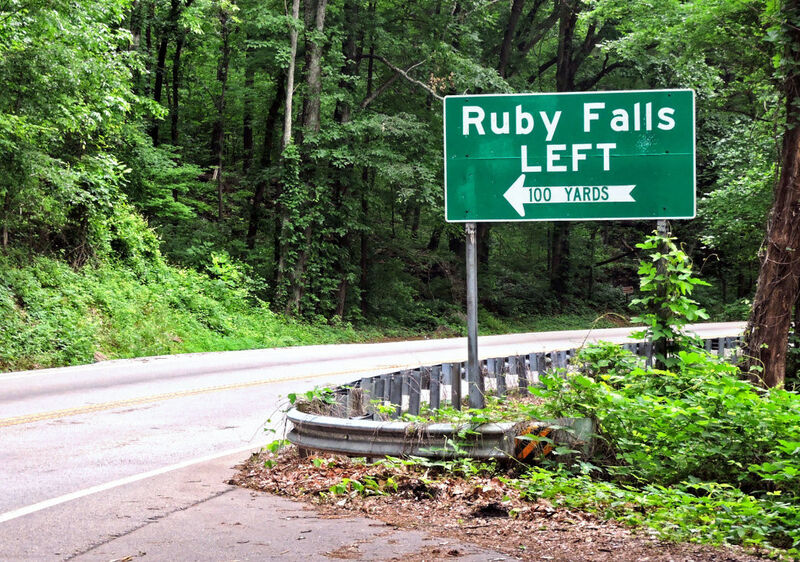 Kids and adults with an adventurous spirit will enjoy exploring the area around the falls. Coming up Ochs Highway, look for a paved pull-off on the left 150 yards past the intersection of Sanders Road. A kiosk confirms you are in the right spot. Use caution around bluffs and slick rocks in the creek. 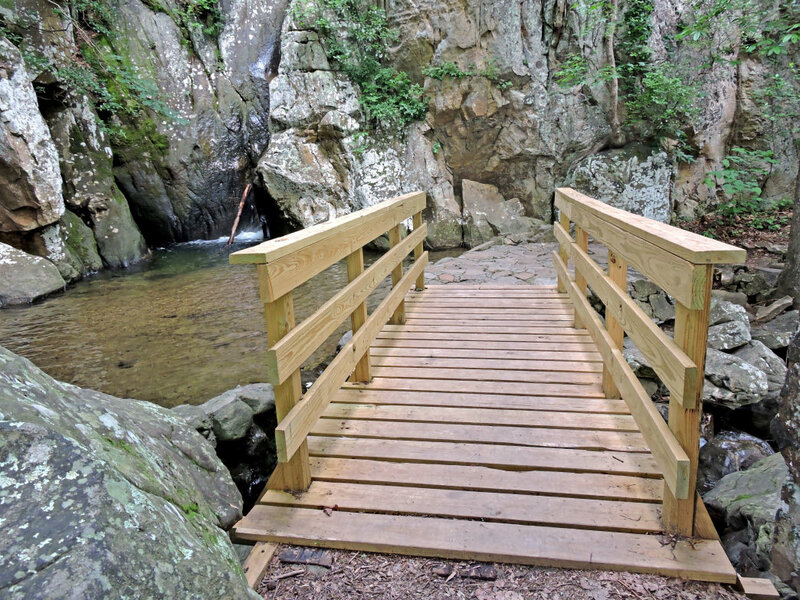 Like all trails on National Park Service land, Glen Falls is for daylight use only.